We have an unparalleled expertise in the area of sports injury. We also work with those suffering with whiplash or sprain from automobile collisions and those injured while in the workplace. 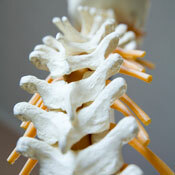 Our carefully chosen techniques are part of mainstream chiropractic and based on years of successful outcomes. Our mission is to help as many people as we can live a pain-free life. Make an appointment today to see us, you’ll love our warm and welcoming office!